Do you need to join two pieces of airline tubing together? Maybe you need to bend the air tube around a corner or fork a tube to two different pieces of equipment. If that’s the case, airline connectors are just the tool you need! What is an aquarium airline connector? What are the different types of airline connectors? 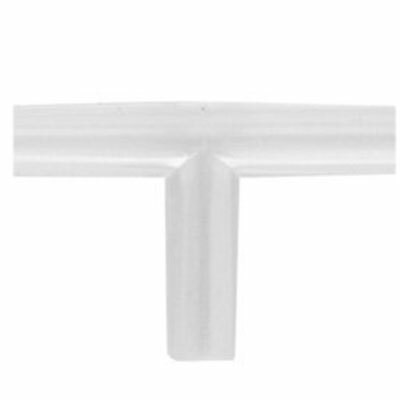 An airline connector is a small piece of plastic that joins two or more pieces of airline tubing. Each connector is hollow, allowing air to pass through it. 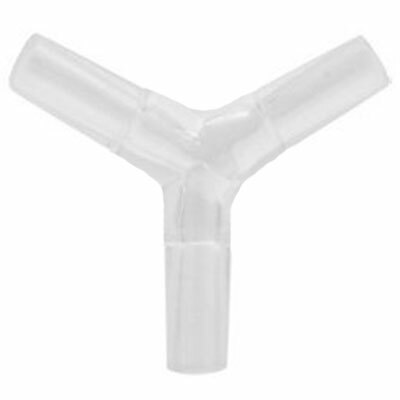 The connector simply slides inside each piece of tubing, creating an airtight joint. Important: While connectors may allow you to branch off airline tubing so that you can run more sponge filters or bubblers, they may not operate properly if your air pump is not powerful enough to drive multiple pieces of aquarium equipment. 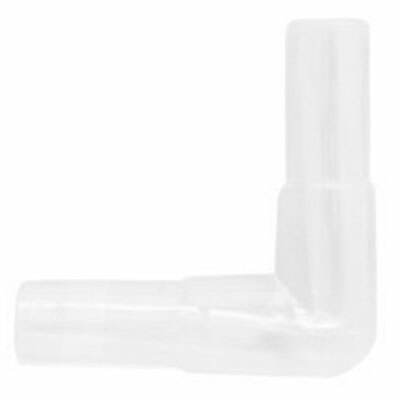 Aquarium airline connectors are designed to fit 3/16 inch (5mm) tubing – standard-sized tubing that fits aquarium air pumps. Is your air tubing larger? While you could use an adapter to size your pipe down, I prefer to use drip irrigation fittings. 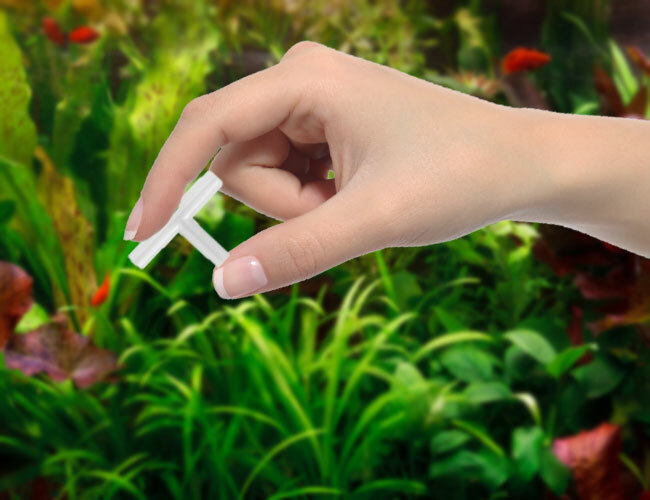 They may be designed with your lawn in mind, but these fittings work perfectly on larger-sized aquarium airline tubing. If you have any experience with aquariums, then you probably understand what I am about to explain. So, you probably don’t need the refresher and can skip the rest of this guide. But for those of you who are new to the hobby, you might not even be aware that some of these exist. You might even be able to run your airline in a way that you didn’t think was possible. A simple connector that allows you to connect two pieces of airline together. Often used when you have two pieces of air tube that are too short. Have you ever tried bending your airline 90 degrees? You’ll put a kink in the tube, and no air will flow through. One way around this problem is to use an elbow connector, allowing you to run your air tube around corners without blocking the airflow. Elbow connectors are sometimes referred to as L or 90-degree connectors. Want to split your airline to run a second airstone from the same pump? A 3-way connector allows you to do exactly that. Three-way connectors come in two different styles, T and Y, named after each letter in the alphabet they resemble. Y connectors allow the tubing to branch at angles without the need to kink the pipe. When combined with an airline control valve, 3-way connectors can also be used to create a DIY bleed valve to prevent back pressure from damaging your air pump. Similar to the previous connector, but this one allows you to run up to three airline tubes from the same air pump instead of two. 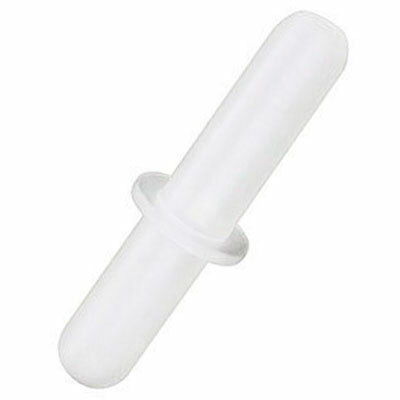 FishLab Tip: If you have a 3 or 4-way connector and want to remove one of the tubes, place a rubber cap like this over the open connector piece to prevent air from escaping! Want a single air fitting that not only splits your tubing but also controls the airline on each tube? A gang valve is more suitable than a connector. How do you use airline tube connectors in your aquarium? Let me know in the comments below! Aquarium Air Check Valves - Save Your Tank! Bleed Valves: Reduce Air Pressure and Increase Your Air Pump's Life! Aquarium Airline Tubing: Deliver Air Into Your Tank! Gang Valve - A Single Fitting to Split & Control Your Airline! My air pump, a Fluval Q1, has large 3/16″ outlets while my airstone has “standard” smaller size connectors. I need a reducer adapter. Do you have any idea where I can find such an adapter? 3/16 is the standard inner size for airline tubing. If you have an airstone with a smaller connector, then that isn’t standard. I just double checked my large collection of different airstones floating around in my junk drawer that have accumulated over the years, all 30+ take 3/16 air hose. Unfortunately, I have not come across a reducer that could help in this situation. 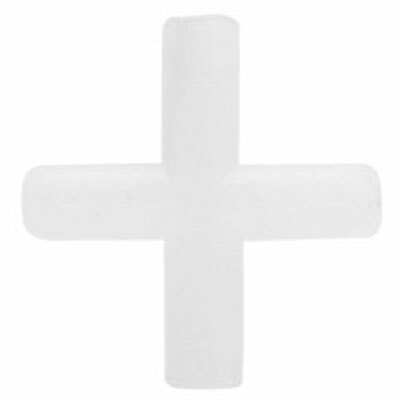 If it did exist, it would likely be just as cheap to pick up a new airstone – they are very affordable. Does anyone make quick connect/disconnect connectors for standard air line tubing? I use the lines for my Aerogardens, and would love to be able to split the line for cleaning rather than remove the air stone and pull the tubing back out of the unit. Thanks in Advance. I’ve never come across this request before. Unfortunately, I cannot think of anyone that makes an out-of-the-box solution in the aquarium industry. I wish I could be more help. Thank you. I had searched on Google and couldn’t find anything so I thought I would check. Not a problem. Wishing you all the best in your search for a solution! No, If you just plan on running a single airline tube from your air pump to your airstone, there is no need for a connector. A connector is used if you want to branch your airline tube into multiple paths, say if you wanted to run more than one airstone off a single air pump – assuming your air pump is powerful enough to do so, of course. Is the internal diameter (ID) of the tubing the correct size for your air pump outlets? While the ID most aquarium tubing is 3/16 inch, I have come across tubing that is incorrectly sized. It could also be that the outflow nozzles on your air pump are an unusual size. 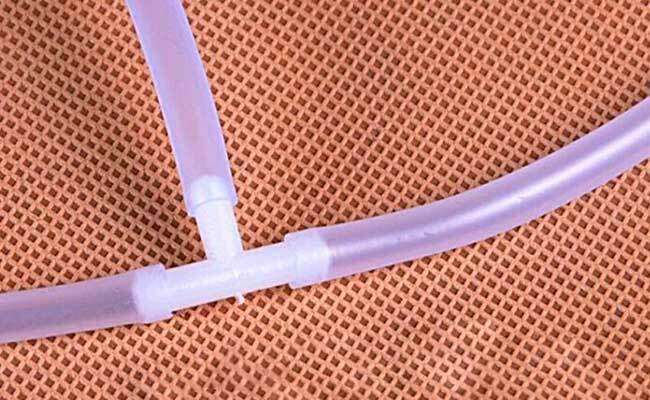 If the sizing is correct, the tubing should simply slide over the nozzle and stay put without leaking.